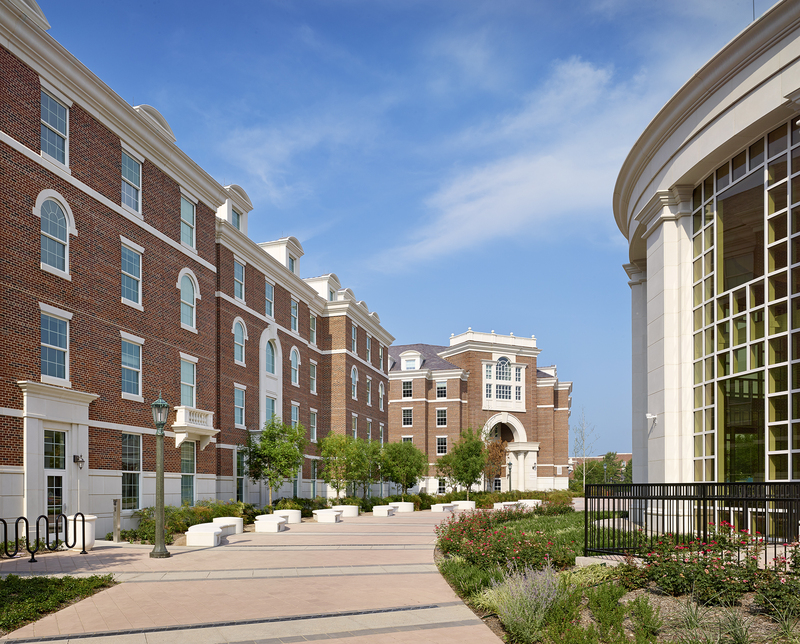 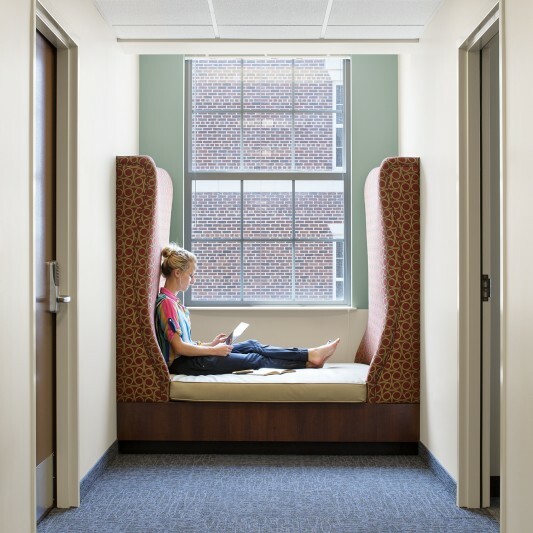 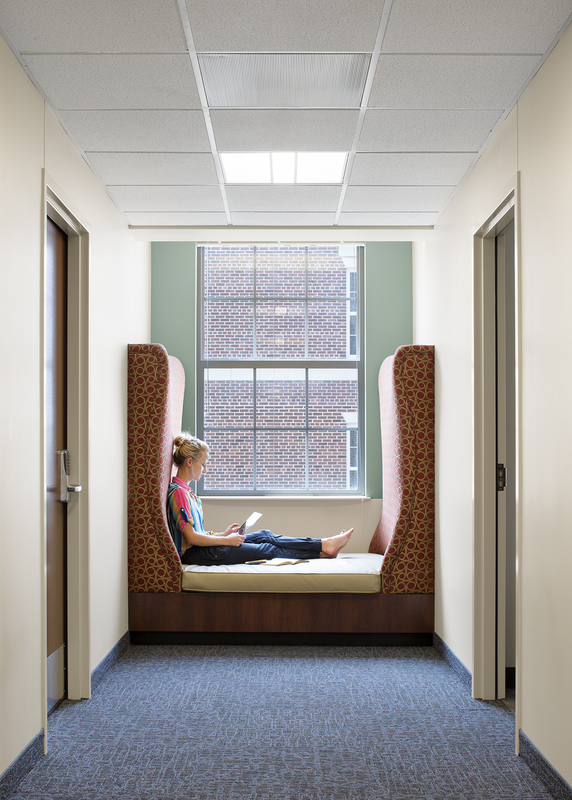 The Residential Commons at Southern Methodist University represents a new direction in SMU student housing. 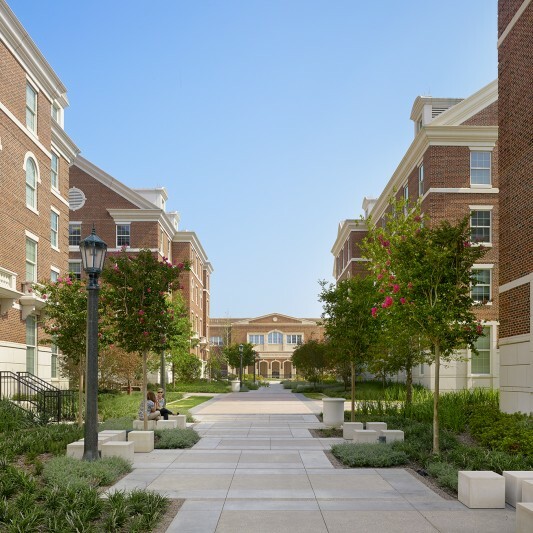 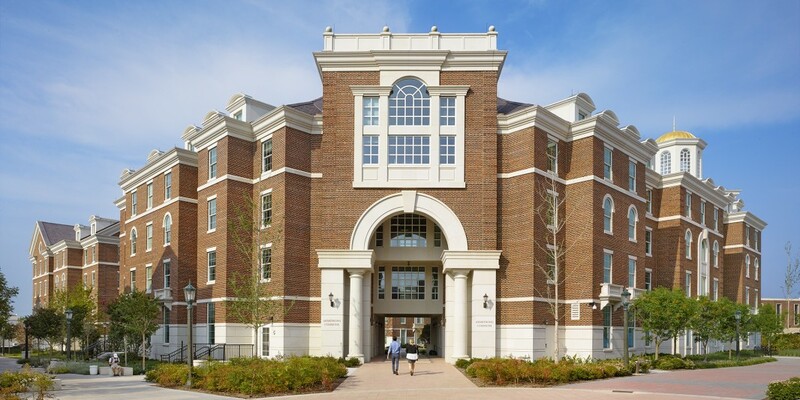 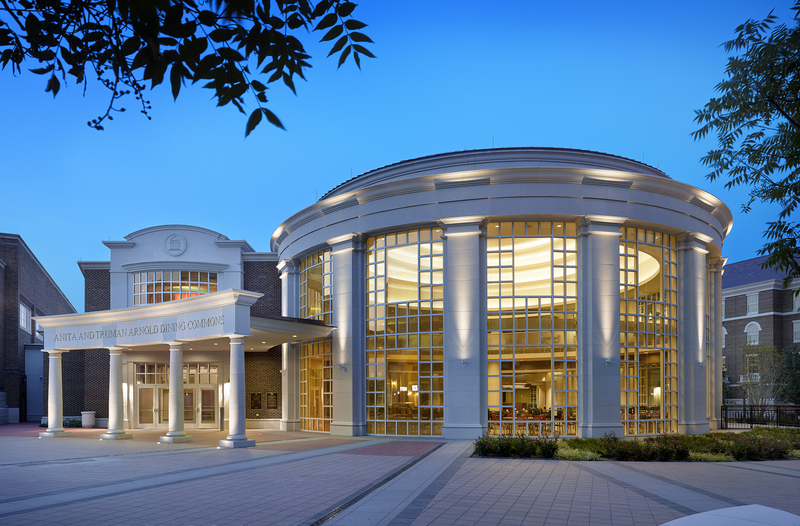 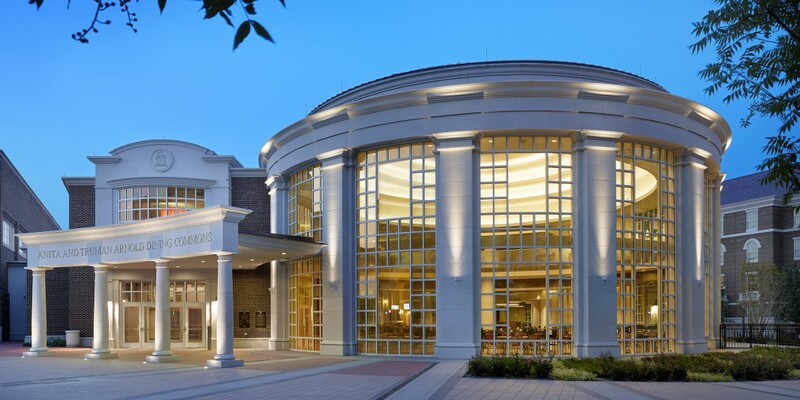 Featuring 1,250 beds, a 505-seat dining commons and an 800-car parking garage, the Residential Commons enables SMU to implement its new requirement that sophomores live on campus, as well as facilitate the integration of academics and student life. 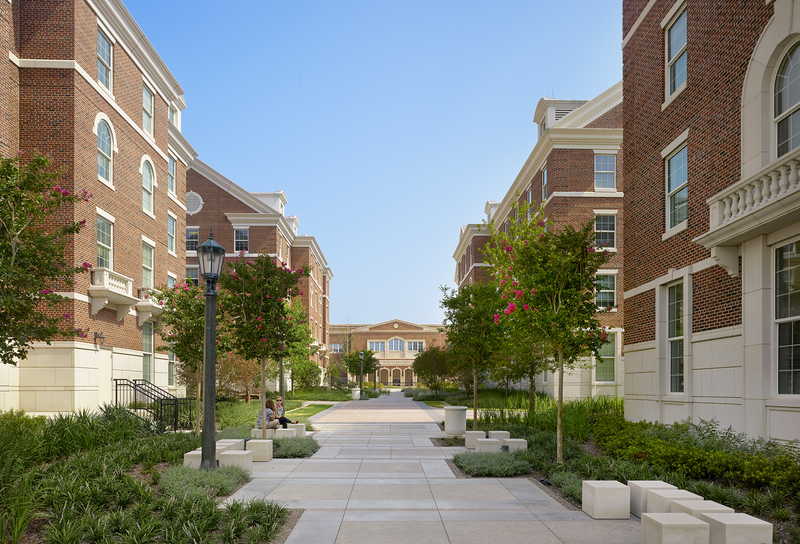 Campus living beyond the first year has been linked to higher retention rates and creates a greater sense of camaraderie among students. 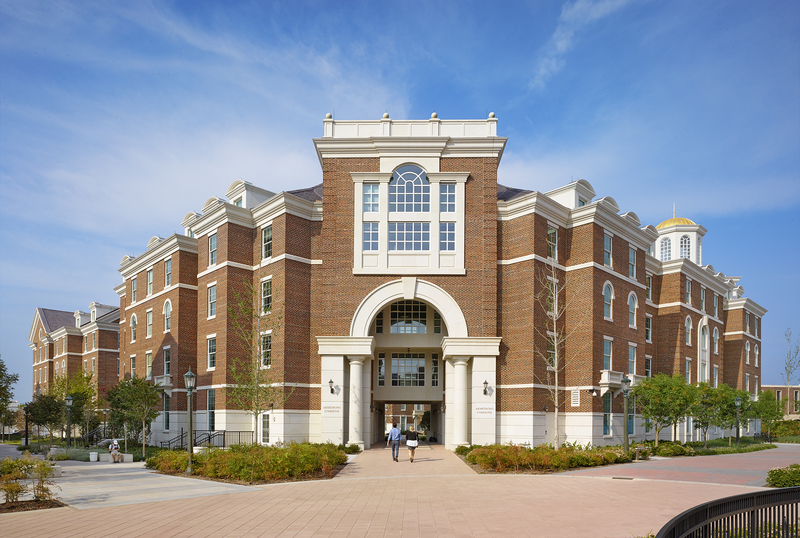 Built by Beck, each of the five, new 250-bed residence halls integrates a residential college approach, including a faculty-in-residence apartment, classrooms and seminar rooms. 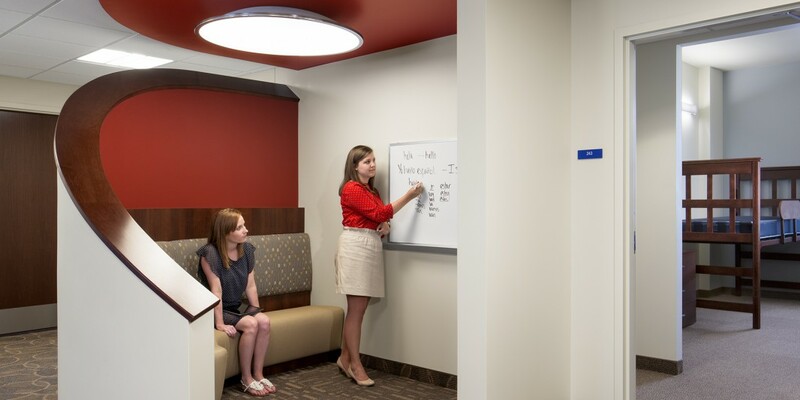 This expands opportunities for learning, informal interactions with professors and mentoring. 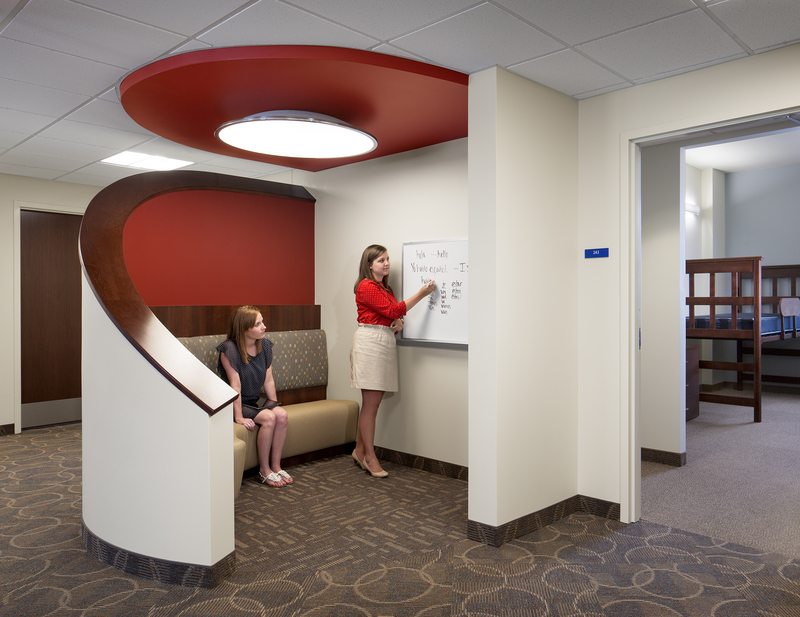 Student services, administrative and other support functions are also housed within the Commons. 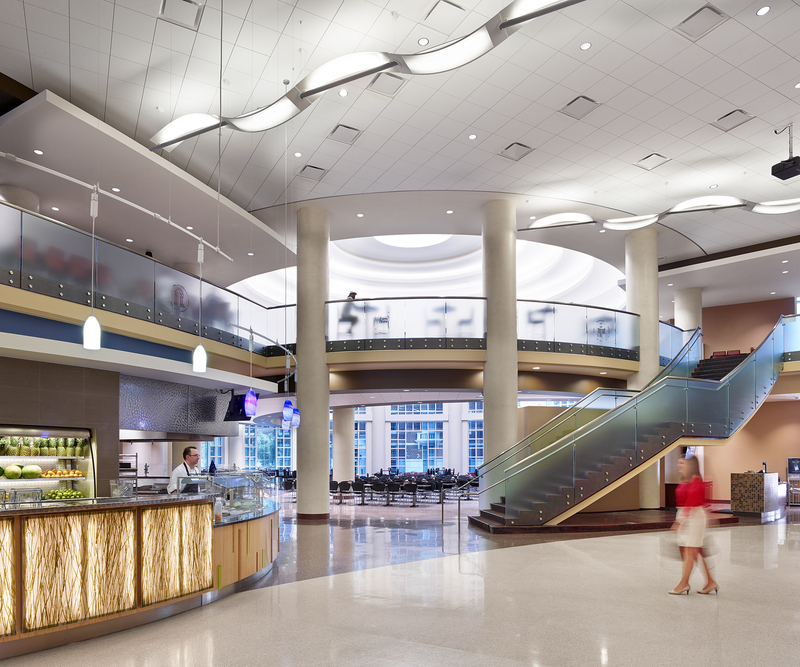 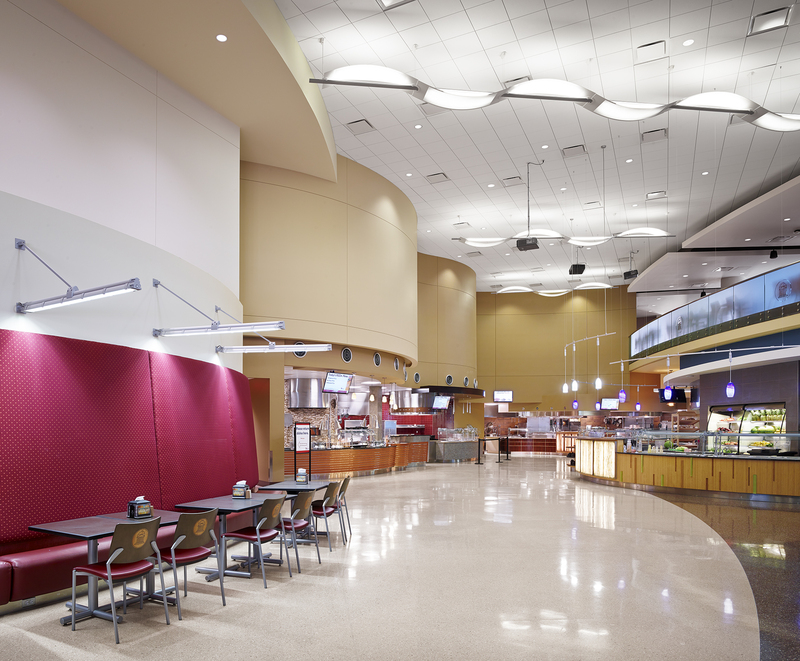 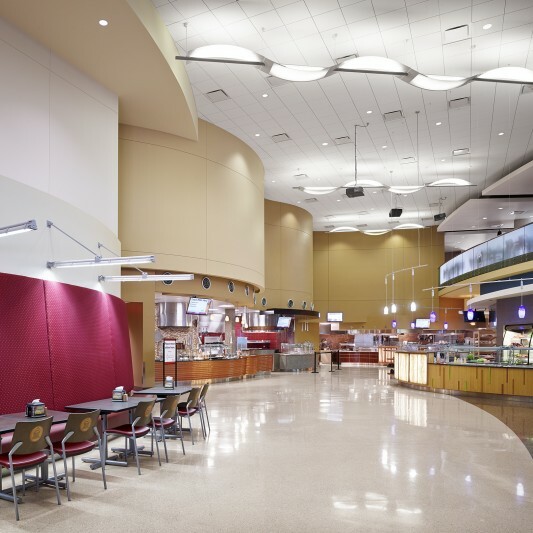 The domed dining hall features electrochromic glass, allowing digital control of UV exposure throughout the day to reduce heat gain within the facility. 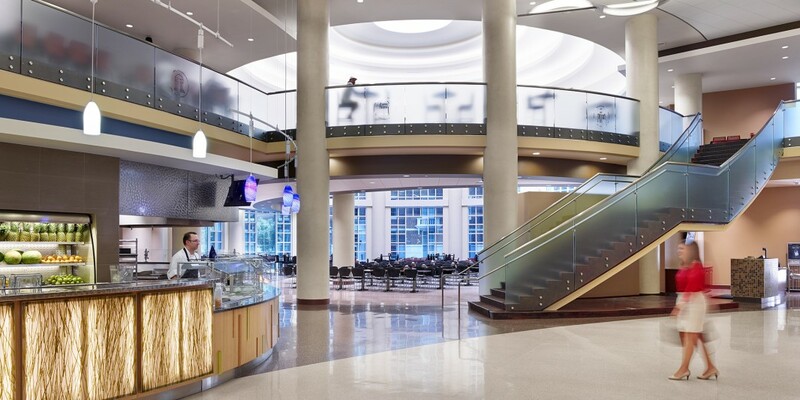 Sustainable practices and materials were employed throughout the project, including a grey water system for irrigation, high efficiency flush system, and occupant-triggered motion sensors for lighting control of LED fixtures and reduced lighting power density. 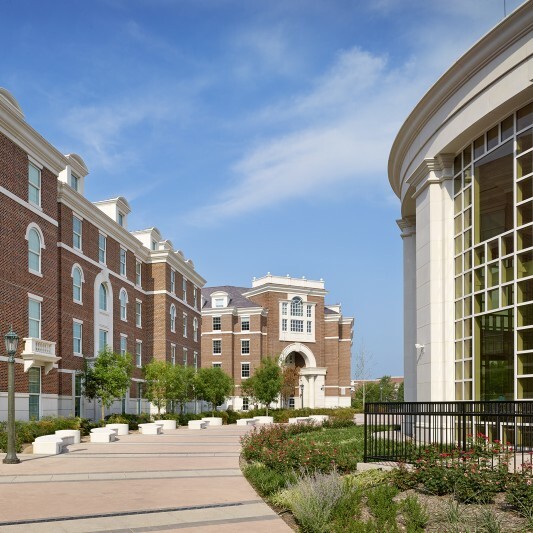 The project achieved LEED Gold certification for all six buildings.